This poster art was created by Jacob Aman in October 2017 for the Future Primitive Podcast. Future Primitive has relaunched its website and is now offering an online community. 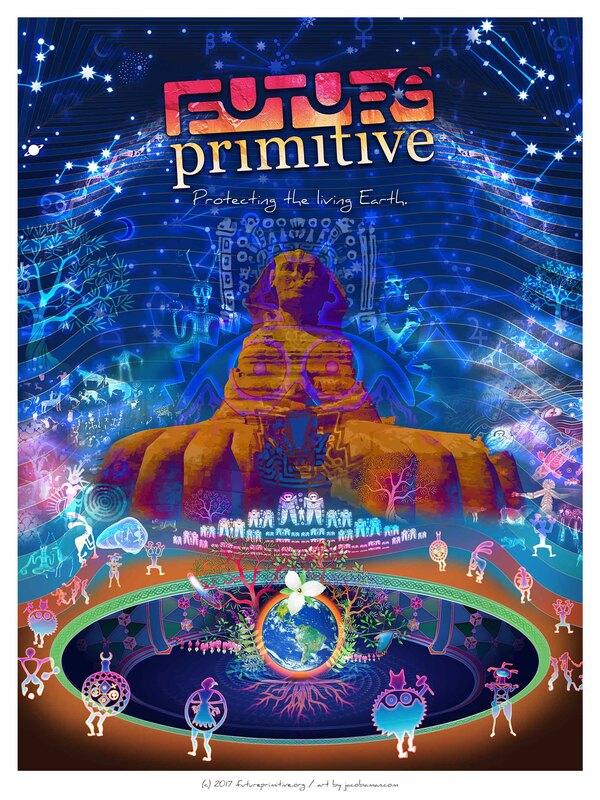 The theme of Future Primitive and this artwork is ”Protecting the Living Earth”. Many ancestral glyphs and mythological beings are present as dreamtime figures, beckoning us to remember our sacred mission of protecting our living planet. The bulk of the proceeds from these poster sales will go to completing the website build, online marketing for Future Primitive to increase our exposure after our new website and branding launch in November 2017. The prints are produced and mailed by Golden Stupa Media.